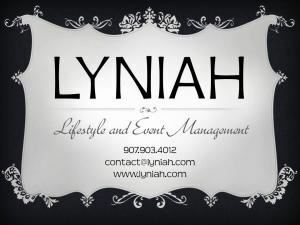 LYNIAH Event Management is a full service event planning agency. Our goal is to help our clients simplify the event planning process. Our services include event design and production, catering, photography & videography, floral & decor, transportation and event staffing. We do all the work. You show up and be charming.